Preshow inside the beautiful Capitol Theatre in Fort Edmonton Park. 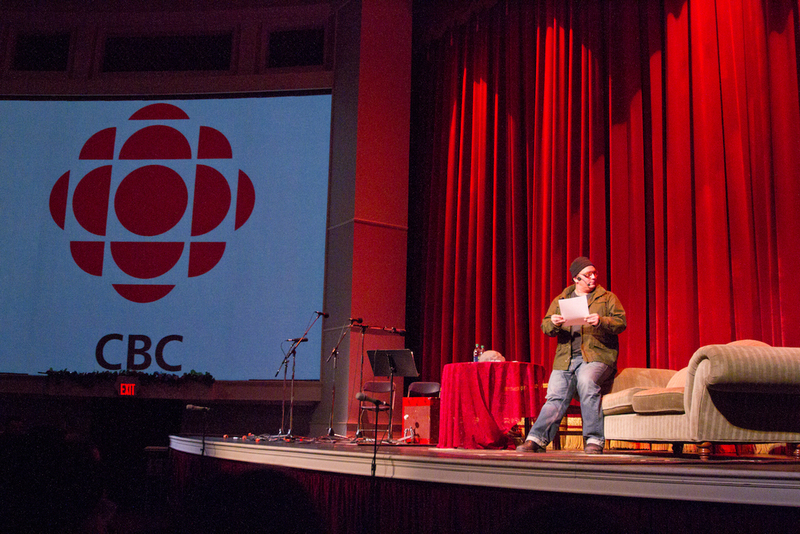 Once a homemade podcast all the way to a National 1 hour comedy special - an incredible night in Edmonton! Ryan breaks down the rules for the night - laughter is allowed. Ryan & Nick great the sold out audience to the recording! Clarence Two Toes tried to pitch the worlds 1st NDN gameshow - Really Really NDN Trivia. Much to his surprise - it didn't go so well. Does more need to be said - laughing ugly. One of the break out comedy bits, You're Welcome Canada. One of many comedy bits through the night that Ryan & Nick shared. Ryan proposes some song lyrics to Fawn & Dallas. Dallas Waskahat & Fawn Wood sing one of 3 songs on the night - leaving Nick & Ryan in awe. Richard Van Camp was the featured guest of the night!